The Jacksons and their pomeranians thank you for dropping by. Lane, Julie and I are so happy you came. 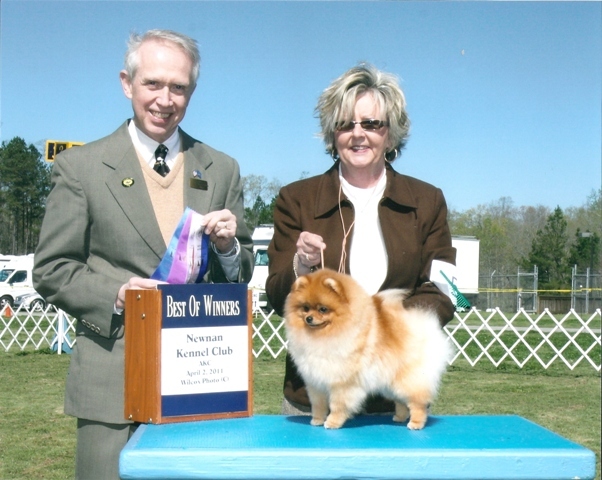 Located in beautiful Florence, Alabama, northwest corner of the state, Springwood Pomeranians strives to produce a well socialized beautiful show quality pomeranian. Every now and then one of the Springwood Poms becomes available to a pet home/show home and can be found in the left rail under "Available" heading. 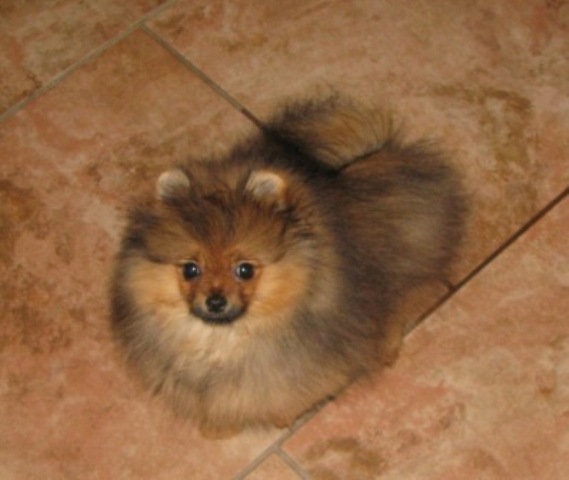 Please contact us if you are interested in our poms or just to talk dogs. All Springwood Stars are listed in the left rail. Enjoy your visit. This is one of the two girls that Springwood will be growing out as a late year show prospect. This little girl Heddy is a spit fire and has everyone doing her bidding. We look forward to showing this wonderful girl. Heddy, "Springwoods with the Top Down" hopefully will cruise to her championship. Thank you Shalon for the use of beautiful Nuggy. 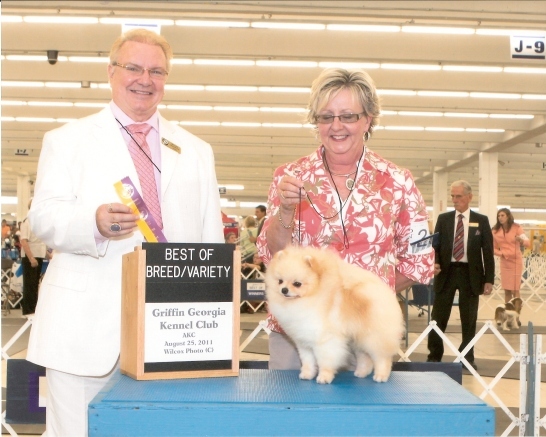 Gibbs takes another group placement this time Sunday at the Chattanooga shows. Gch Springwoods The Boss, also took BOB two days with a Group Four under Judge Charles Trotter on Thursday in Jackson Tennessee. This beautiful boy has exceeded the hopes of Springwood and we have high hopes for him in the future. This lovely creamy orange boy has really captured the hearts of everyone. Thanks to you all. He is out of Ch. Mountain Crest Hard Rock, ROM and my Ch. Springwoods Tete a Tete (Bunny) retired. This pic is recent BOB in Atlanta. This is the beautiful CH. 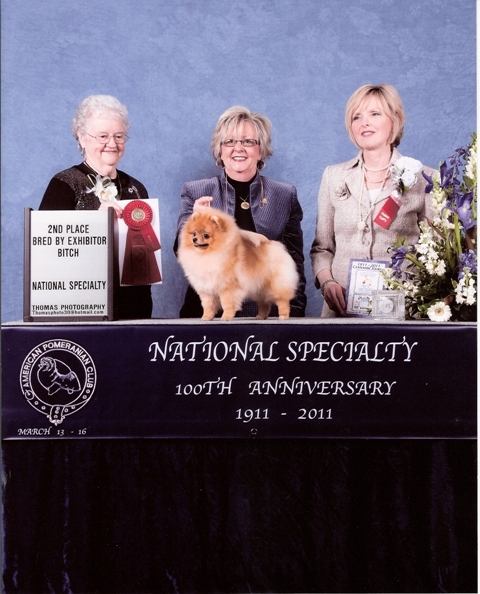 Springwoods Tell Me Again, Jamie Lee,the older breeding (Ch. Vinny x Ch. Lark. While Gibbs was taking BOS she was taking the BOB on Saturday and Sunday. She is a beautiful girl with excellent movement and conformation. Thank you judges. She will be showing at Eukanuba if all goes well. Springwood welcomes Patrick and Kathleen to our Home. These are Ch. Segar x Jackie-O. Patrick is available as a show prospect. If interested call me privately at (256) 762-5958. Kathleen will be staying here and begin her show career in the fall. Thanks David and Carlene. Ch. Apple is due in December actually Christmas. Of course my sweet Apple would be having her puppies at that time. Father is a Vinny son Rex. Springwood is very excited. Springwood is expecting some very exciting litters all due in December. If all goes well, Ch. Nix, Ch. Apple, Ch. Jamie Lee and Ziva will all be mommies. Any duplication without the express written consent is strictly prohibited.